This handout photo taken on November 27, 2018 and shows a single stage rocket on its launch pad at the Naro Space Center in the southern coast county of Goheung. 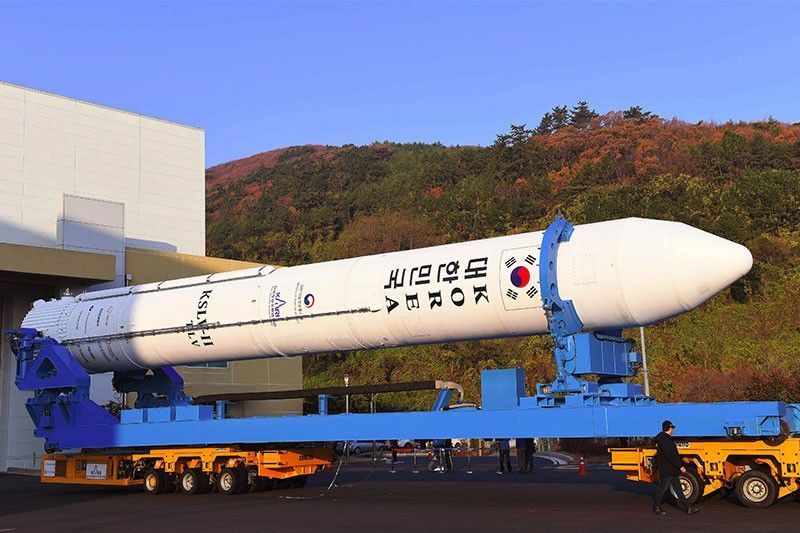 South Korea on November 28 successfully conducted a rocket engine test launch, news reports said, paving the way for the development of its own space launch vehicle. SEOUL, South Korea — South Korea on Wednesday successfully conducted a rocket engine test launch, news reports said, paving the way for the development of its own space launch vehicle. A liquid-fuel engine successfully propelled a single-stage rocket weighing 52 tonnes and measuring 25.8 meters (84.6 feet) long, from the Naro Space Center on the southern coast, Yonhap news agency said. The engine, designed and developed by the Korea Aerospace Research Institute (KARI ) as part of a $1.8 billion project, will be used to propel the country's first indigenous three-stage launch vehicle -- the Korea Space Launch Vehicle-2 (KSLV-2). "This is a significant step forward in developing a launch vehicle with our own technology," a KARI spokesman said. But the significance of the 2013 launch was widely discounted as the launch vehicle had to rely on a Russia-developed engine for its first stage. On its launch -- scheduled for 2021 -- KSLV-2 will use five of the newly developed engines, a bundle of four for the first stage and another one for the second stage. Wednesday's test was deemed successful as the engine combustion was maintained for over 140 seconds during the test launch, Yonhap said. The KSLV-2 rocket, which will be South Korea's first space vehicle wholly designed and built by itself, will be used to place satellites into the Earth's orbit and for other commercial applications.